As the winter months approach, pet owners should start preparing for ways to keep their little friends safe, warm and comfortable. 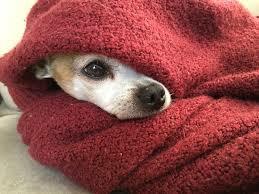 Just like humans, cats and dogs can be volatile to injury from the cold. 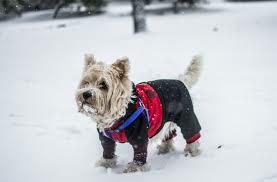 Of course, the age and type of pet will largely determine how it reacts to the cold, but almost all animals need to be protected from the harsh weather. Listed below are 5 steps that will help you create a warm and safe environment for your four-legged friend. Cats and dogs should be brought inside if the weather conditions are extremely cold or snowy. If your pet needs to go outside to urinate, make sure you go outside with him as well. Frostbite can develop on the feet or on the tips of the ears if your pet becomes too cold. Once you get in, be sure to clean any “snowballs” and ice from your pet’s feet and coat. Even worse than frostbite, if the temperature is extremely low, hypothermia could develop. In such a situation, the body temperature becomes extremely low and your pet will start showing signs of depression and weakness. Severe cases can even prove to be fatal. Under such circumstances, take your furry companion to your veterinarian immediately or to the animal ER if your regular veterinarian is closed. Protect your pet against salt and ice. When you come back home from walking in the cold, be sure to clean the ice and salt off of your dog’s feet. Dogs have very soft paws and the salt can cause be quite irritating and could lead to cuts and abrasions when they walk on the ice and salt. Salt can especially be very bothersome. Be sure to use the “pet safe” salt on your own property. When you are out walking with your pet, he is likely to come in contact with salt that is not “pet-safe”, which is why when you return home, be sure to brush the salt and ice from his legs and paws. Another way to prevent your pet from coming into contact with salt and ice is through getting dog boots. Protect your pets against anti-freeze and other poisons. During winter, people often change the anti-freeze in their car. Anti-freeze has a sweet taste that can attract animals, but it is extremely toxic to them and even small amounts can prove to be fatal. The worst part is that symptoms may not show up for a few days. Wipe up spills right away and store anti-freeze and other household chemicals in tightly closed containers and keep them out of reach. If you see your pet lick up any of this, immediately take him to the vet and seek medical assistance. Protect pets from fan belt injuries. Warm car engines can attract cats and small wildlife that may crawl up under the hood to sleep. Before starting your car in the winter, it is always a good idea to bang on the car’s hood and honk the horn to scare them away before running the engine. Do this even if your pet is right in front of your eyes, to avoid harming any other wildlife. Protect your pets from dangerous foods. Winters are the perfect time for hot chocolate and other sweet snacks. Cocoa and the sugar-free sweetener known as xylitol are both toxic to pets. Keep items containing these ingredients out of your pet’s sight. And be sure to consume them when your furry friends are not around. 1 Cats and dogs should be brought inside if the weather conditions are extremely cold or snowy. 2 Protect your pet against salt and ice. 3 Protect your pets against anti-freeze and other poisons. 4 Protect pets from fan belt injuries. 5 Protect your pets from dangerous foods.